Today I'm very pleased to be hosting a guest post from author Janet Edwards. I met Janet a while ago on twitter and have had the pleasure of reading and reviewing her first two novels. Jax recently wrote a wonderful post about ‘Dreams and Regrets’. About a box of old manuscripts she’d written years … [Read more...] about Janet Edwards: Dreams Reborn. Earth Star by Janet Edwards. I very much enjoyed Earth Girl, the debut SF from Janet Edwards. So when I saw via twitter that the sequel was being released for review via netgalley, I couldn't wait to get my hands on it. 18-year-old Jarra has a lot to prove. 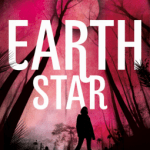 After being awarded one of the military’s highest honours for her role … [Read more...] about Earth Star by Janet Edwards. Earth Girl by Janet Edwards reviewed. Seems like ages since this popped through the door - think it was back in May. I didn't get to read it straightaway as Big fell on it and carted it away - she loved it, and kept encouraging me to read it too. This week it finally made it to the top of my TBR pile and I don't know why I'd been … [Read more...] about Earth Girl by Janet Edwards reviewed.